Dear reader this is also a new term at least to me, you may have known about it. This concrete is developed in Belgium. 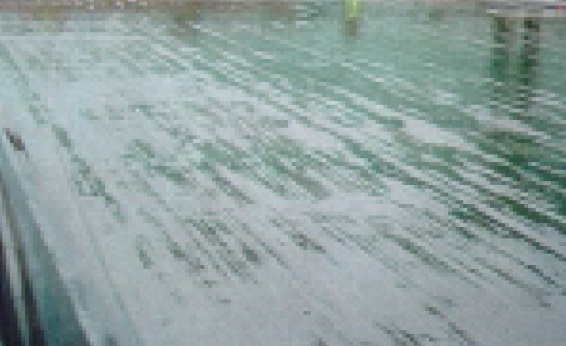 We have published earlier about hydroplaning in concrete pavement. You may have read this post. Our aim is to make concrete pavement more skid resistance but reducing noise level. We will now provide a method of resurfacing of existing concrete pavement that get smoothen by the action of tyres of heavy traffic on road surface. Re-grooving is provided sometimes to roughening the road surface. Grooving in this manner is very costly and need hard working to achieve this. Belgium is pioneer to reduce noise pollution due to high speed traffic movement, instead of re-grooving they made another effort-exposed aggregate finish. The exposed aggregate finish is done by laying (40-50) mm concrete layer for resurfacing. The aggregate chosen as coarse aggregate is of (6-8) mm size. this is not new in resurfacing trend. The specialty is spraying glucose retarder, water and alcohol and being sprayed polyethylene sheet is used to cover the surface. One important thing we have missed-that is the timing of application of retarder mixer. They are sprayed while new concrete is green. The road surface is washed out with special Bristle brushes. The brushes should be stiff with rotating facility. The sprayed surface is left covered for 8-36 hours before washing work. The unset top mortar is removed up to a depth of (1.5-2)mm removed leaving aggregates to expose. This renders pavement surface a rough texture that is enough safe for high speed vehicles but still producing less noise. This concrete surfacing is called whisper concrete that we are hunting through this post. We will discuss mor e about whisper concrete in upcoming post.